I love cupcakes, especially the French Vanilla kind! But French Vanilla cake doesn’t seem very festive during fall. 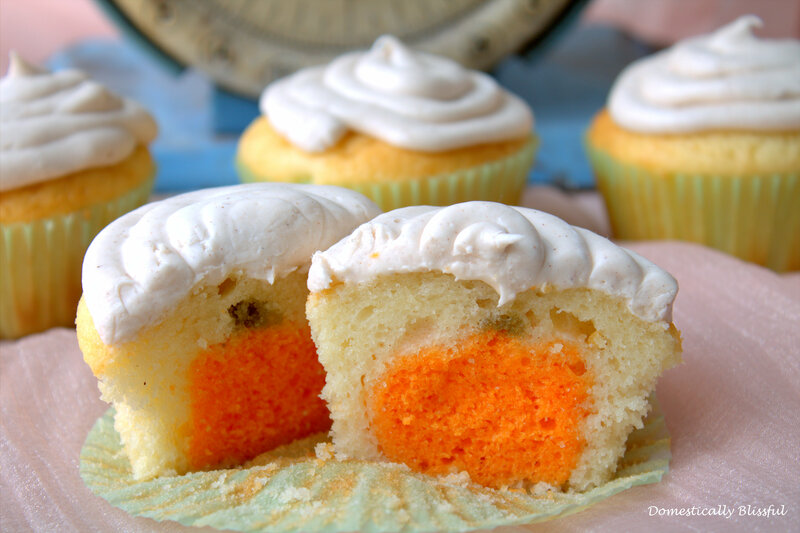 These Fall Filled Cupcakes are the perfect answer to your fall cupcake needs! First, take your favorite French Vanilla Cake mix and follow the directions to make the batter. 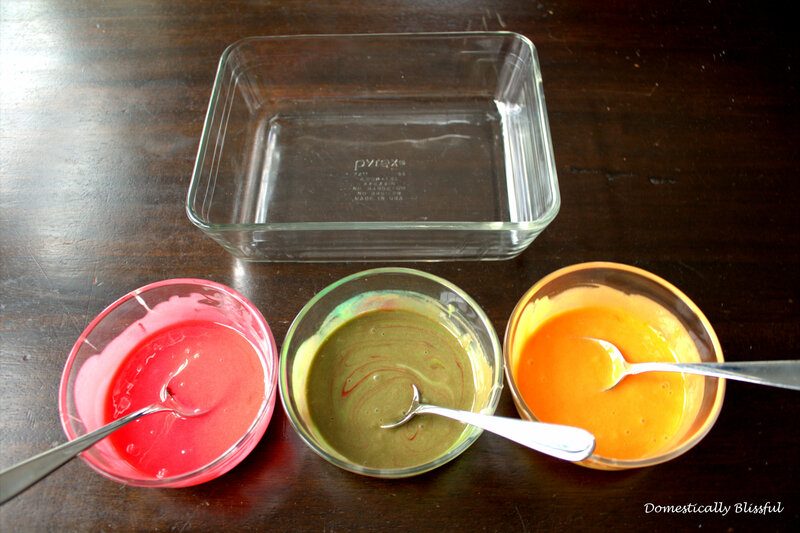 Next, pour a little bit of the batter into several different bowls – I did 4-5 tablespoons in each bowl – and add food-coloring dye until you have reached your desired color. Pour the batter into an oil sprayed glass pan and bake at the temperature advised on the box until a toothpick comes out clean. 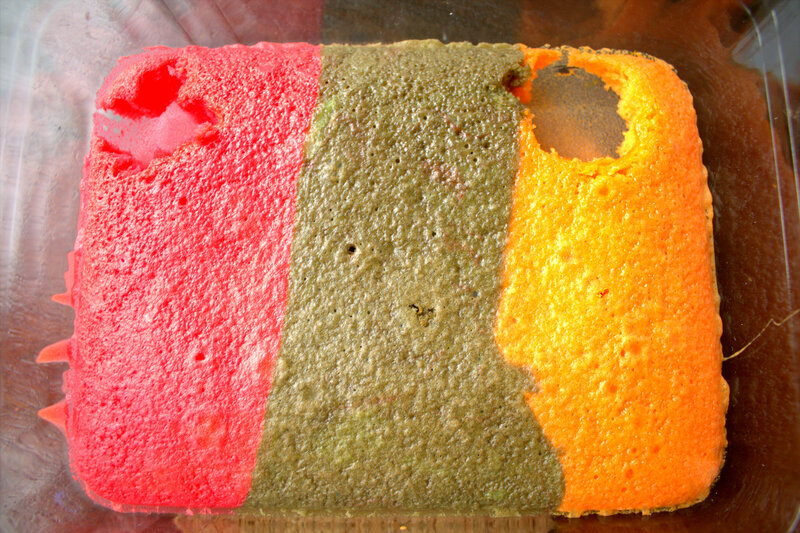 Remove the colored cake from the oven and let cool. 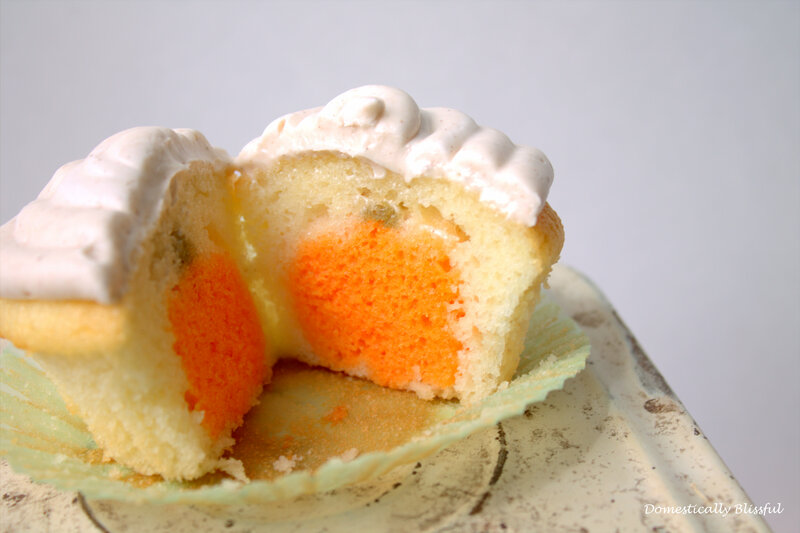 Then use your mini fall cookie cutters to cut the cake and set the pieces to the side. 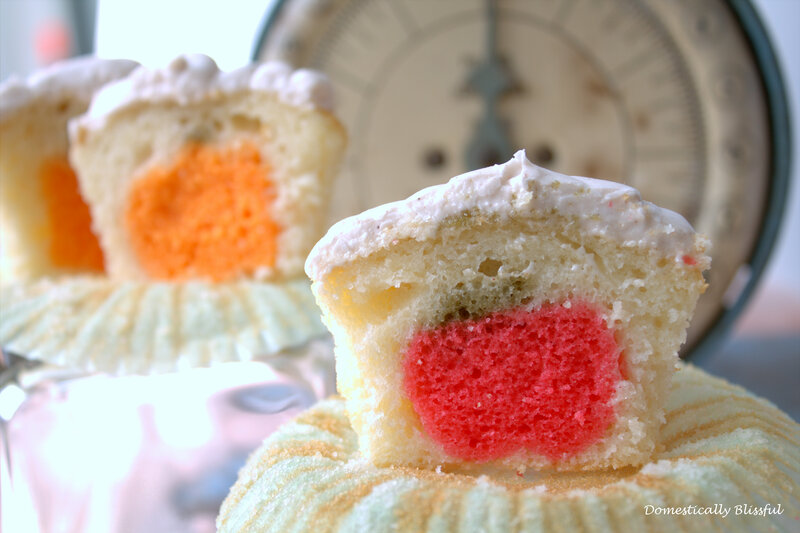 In a tin lined cupcake pan put a little bit of the French vanilla cake batter in the bottom of each cupcake tin and then place one colored pumpkin, apple, or leaf on top of the batter in each tin. Pour the rest of the batter into each of the tins filling them 3/4ths full. Bake the cupcakes according to the instructions on the box and let cool before icing. 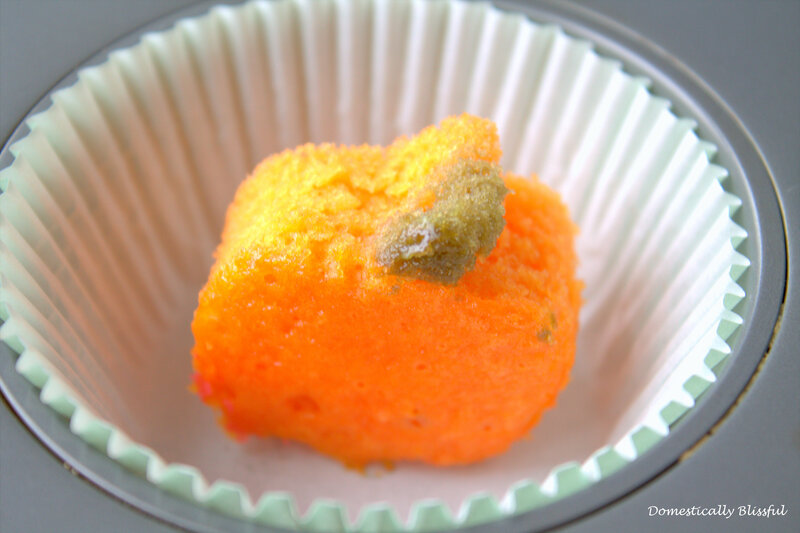 All that’s left is to eat and enjoy the face of your children and friends when they find a fun fall surprise in their cupcake! I love how bright this apple turned out! these are soo cute! I can’t wait to try it!